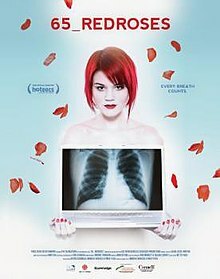 This is a documentary about a girl struggling with Cystic Fibrosis. It’s a tough one to watch, but it’s pretty dang inspiring. Sheena had apparently followed her blog (which is what inspired the doc) in the past, and knew about this girl, and really knew how it all played out. I didn’t know anything, and I was pretty engrossed the whole time. 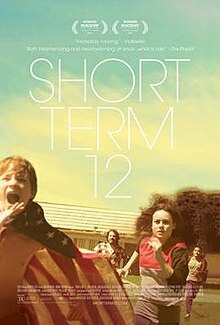 It’s a short movie, and one worth checking out for sure. 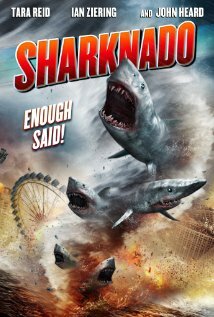 Well… we finally watched this. And it was exactly what we expected. Or maybe worse. Or maybe better. I dunno. It’s bad. And great. Apparently this is based on a novel from the 1890’s or something. I would’ve never guessed that. Obviously, it’s been updated a ton. It’s essentially about two awful parents who use their child as a way to try and hurt each other. 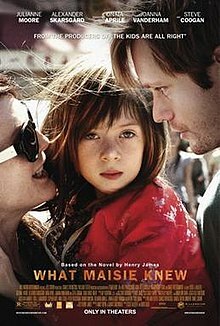 The acting in the movie is excellent, especially from the little girl, who caries the movie. It’s a pretty depressing tale, though, and seems pretty far fetched (what do I know?) as far as how parents can treat their kids and just sort of abandon them constantly. Until I learned this was adapted from a somewhat famous novel, I really didn’t get why this movie would even be made. It’s done well, but it just makes you mad since it doesn’t feel like any real lessons are learned. It’s worth checking out if you can’t find anything else to watch. Fantastic! I seriously loved this movie. It’s essentially about the staff and residents at a group home for troubled teens. The storytelling is superb, and the cast/acting is excellent. Obviously, it’s not a super happy story, but it’s a great one. It’s on Netflix, so watch it. First, this film is awesome. BUT! It wasn’t quite as awesome as I was expecting it to be. I know, I know. I think it was just a little too hyped up for me. My main gripe is that it wasn’t as funny as I expected. Yes, it is funny, but it’s more clever funny than haha funny. I did laugh out loud a few times, but I expected more. The only other negative I have is that the first half is a little long. I know we don’t know these characters, so we have to learn about them, but it just got way more exciting once the team was together. Really, that just means the sequel will be that much more awesome, since we’ll already have the background we need. Now, the positives… everything else. The characters are fantastic, the cast is great, the soundtrack is a ton of fun, it looks amazing, and the plot is pretty solid. Seriously, I loved the movie, and it’ll be one of my favorites of the year. It may not have been everything I hoped it would be, but you have to start somewhere, and this was a fantastic start.